Are you Reeling to Go Fishing? 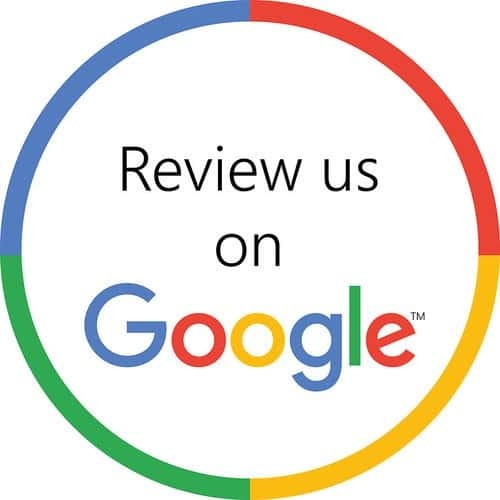 Welcome to Shallow Point Tampa Fishing Charters hosted by Captain David Beede. David loves fishing as a profession and thoroughly enjoys fishing on his personal time. He’s been running fishing charters and exploring Tampa Bay’s 450 square miles of waterways since 1998. He knows all of the best fishing spots that surround Tampa Bay and will take you to where the fishing is hot. David has fished a many of the tournaments here in Tampa Bay & Clearwater, Florida and has taken first place multiple times! Captain Dave runs a 26’ foot Gause Built Boat that will fish 6 anglers comfortably. 26 feet of open fishing space, a 9 foot of beam, wide, high gunnels, custom 14’ tower with 16 rod holders, twin 10 foot PowerPole shallow water anchors, high end fishing equipment, and a dry ride! Versatility, comfort, quality and safety at its finest. David strives to keep all of his fishing gear in full working order to ensure a successful day on the water. 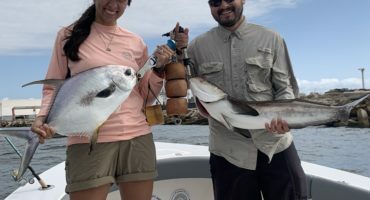 Anglers of the skill sets and backgrounds are welcomed to join in on the adventure; Beginners, experts, family fishing excursions, and corporate fishing groups that are looking for an exciting day on the water. Shallow Point Charters offers guided fishing chartersthat target Tarpon, Snook, Snapper, Redfish, Sharks, Grouper, and much more! 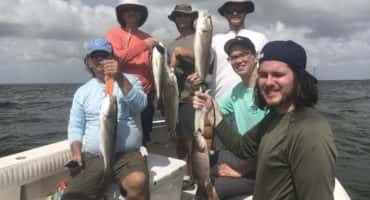 Come join us for Tampa Bay inshore fishing charters, Tampa deep sea fishing, guided fly fishing, flats fishing and a host of other specialty fishing charters like Tampa bowfishing. All of our charter fishing trips are private and offer anglers an opportunity to target seasonal species that call the waters that surround Tampa Bay home. Tarpon is one of our most popular sport fish because these silver giants are known for their fierce head-shaking and acrobatic abilities when they realize they’ve been hooked. Tampa Bay Tarpon fishing is an adventure that you’ll tell all your friends about. 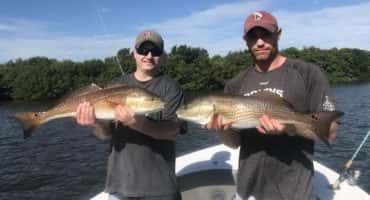 Redfish & Snook also put up a good fight on light tackle or on the fly for anglers looking to do some flats fishing while in Tampa Bay, Florida. Call for your Customized Fishing Trip and Availability.